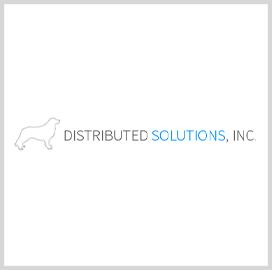 Distributed Solutions Inc. has secured Federal Risk and Authorization Management Program certification to offer a software-as-a-service platform designed to help government customers automate and manage business processes. The company said Friday its AEON platform uses a no-code configuration approach and can integrate with multiple customer environments used to maintain process continuity. Multiple federal clients have deployed the cloud-based offering to support various functions such as acquisition life cycle management, contract writing and vendor engagement. The Department of Justice sponsored DSI through the FedRAMP certification process. Project Host's Federal Private Cloud, which is built on the Azure Government platform from Microsoft, supports the AEON application. FPC functions as a General Support System and offers a set of services that includes access control, configuration and cybersecurity management for SaaS platforms.